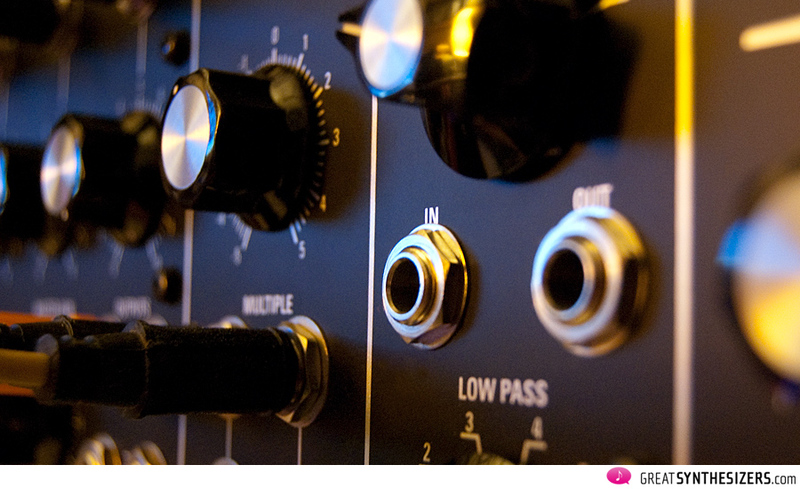 First, a little bit about Moog. The synthesizer in question is called COTK Model 15, but we all know that that is a 1:1 copy of the original Moog Model 15 from the 70s. 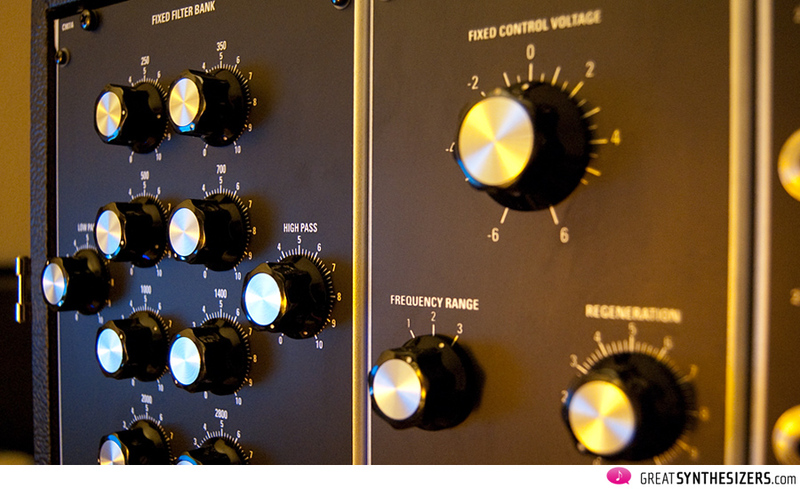 So let’s start with a couple of thoughts about Moog … and a couple of comments based on experience. Very old means: A lot of switches with contact problems. 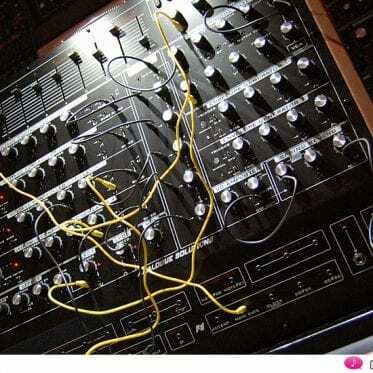 Playing that legendary Moog modular system was less a joy than a pain, frustrating and with lots and lots of problems. Now and then a short phase of playability and a couple of seconds of musical happiness. So, no thanks! I sold it to a guy in Berlin who again resold it to producer Thomas Heckmann. He, then, renovated the system and added missing modules to boot. 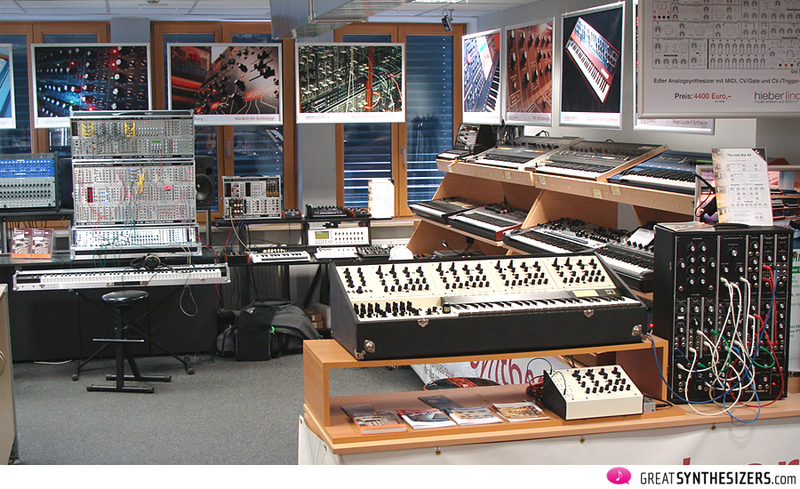 Now the Moog system, that is up and running, is an integral part of Heckmann’s imposing vintage collection. I fondly recall some aspects of that Moog system: the unique filter sound, the astonishing vivacity of the VCOs, the fantastic feel of it all, those big knobs … along with unreliable switches, and … at the bottom line, not satisfaction, but frustration. Flash back to December 2012. An empty Moog Model 15 cabinet is posted of eBay (that is, an empty case with the bottom modules … mixer and power supply). For a mere 3000 Euros, generously reduced to 2500 Euros near the end of the auction. Of course no one buys it. But I can’t resist telling the seller, whom by chance I know, that the price he’s asking just floors me. 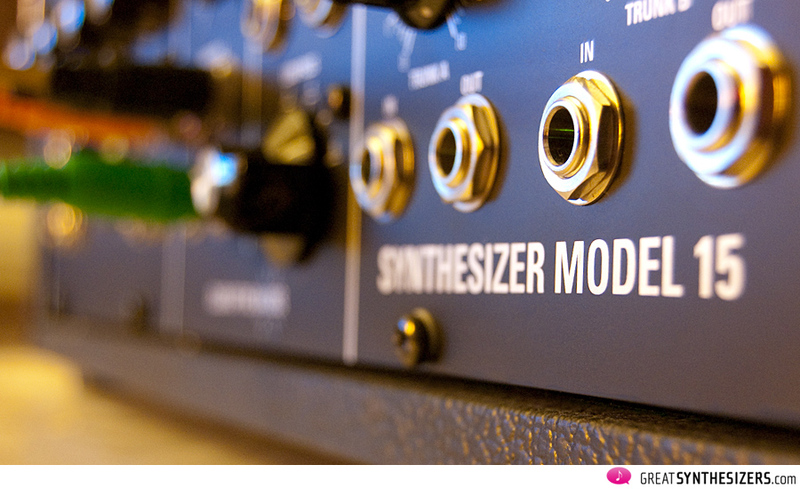 At about the same time a Moog Model 55 is posted in the United States for 60 000 hard-earned USD. Dubious, very dubious. We don’t need to go into the prices in detail. If anybody is willing to pay that much for an instrument, although an empty case is not necessarily an instrument, he should go ahead. Nobody is stepping on anybody’s toes when it comes to personal freedom. It’s the perspective that irritates. Moog, no doubt, has a great reputation, vintage Moog, to be exact, is an exclusive brand. Some musicians show amazing business instincts in association with that magical name. Support for the Moog myth? Fair support? I don’t think so. A lot of those old systems need a lot of repair, they have damaged cases and can be veeeeery shoddy. But even in the case of well-kept instruments there is a limit which, to exceed, bares no logic. So those of us who would rather be called musicians than collectors, those of us who are looking for sound and reliability, should remain sensible and keep an eye out for alternatives to the exotically expensive originals. 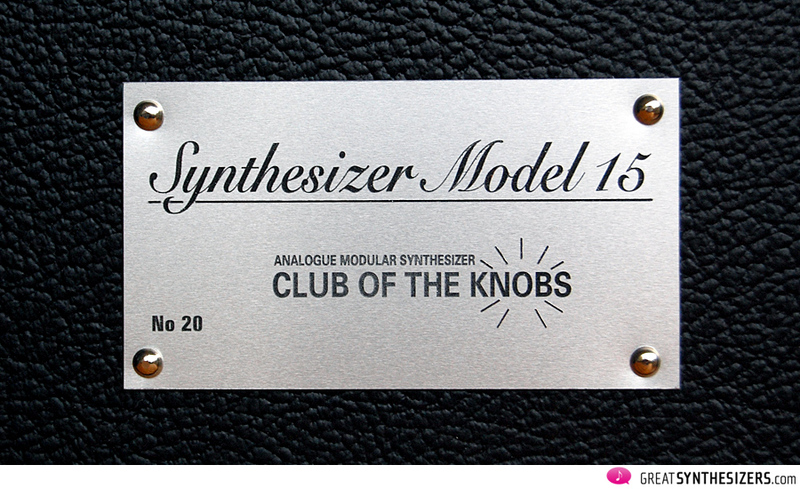 One such alternative is Club Of The Knobs. The Portuguese manufacturer out of Lisboa (Lisbon) has been building high-quality modular systems for some years. And, in comparison with the above-mentioned (used) Moog Model 15 cabinet, you get a COTK Model 15 for the same price … full of modules, shiny and new. High-quality workmanship, high-quality sound. „Tool“ sounds pretty nitty-gritty. But in this case it’s true. A musical instrument is a tool devised to produce sounds. The better the tool, the simpler it is to make good music. I’m over-simplifying, to be honest, but the basic connection between instrumental quality and sound quality is more than obvious with the COTK Model 15. 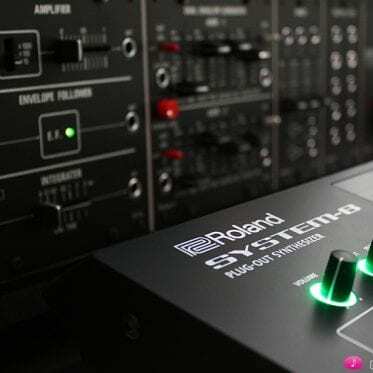 You’re getting the highest construction quality available on the synthesizer market – with the possible exception of EMS / Rehberg and Synthesizers.com as well as Phil Cirocco (CMS) from the USA. All knobs have the same (slightly resistent) masculine feeling. High-quality sockets, solid front panels, elegant labelling. The life on the „inside“ is good, too. The modules have been carefully designed, their integrity is visible and tangible. There’s only one way to connect the modules internally with the power bus, so you can’t go wrong there. The flatcables just fall into place and can easily be disconnected. That avoids the touch-and-go system other companies subject you to. How about the quality chassis, the fine tolex, even the COTK plaquette (with the model- and serial-number) … you’re getting a work of art. Two small points of criticism. The chickenhead knobs have a little play, which seems to be innate to their construction. We all know that there are other knobs which switch without any play. And, the case fasteners are somewhat problematical. Not in connection with their functionality, of course. It’s about their positioning. They are mounted in such a way that the movable part is on the case (and not on the lid), so that the open Model 15 sports two rather obtrusive metal parts on the right side. If you remove them, you can’t close the lid (of course), so it’s recommended to leave the metal tongues where they are and accept them as part of the design of the Model 15. But that’s just peanuts. Back to the sunny side. Model 15 sounds incredible. Here I, surrounded by some of the best from synthesizer history, maintain that this is an unbeatable analog (monophonic) sound. Which is not to say that the Minimoog, ARP-2600, EMS AKS, Oberheim SEM (and many others) aren’t fantastic instruments with their own, distinctive individuality. But why look back? 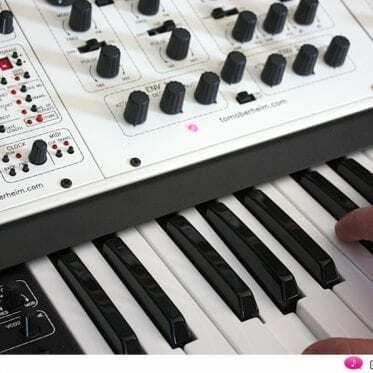 There are synthesizers today that are the classics of tomorrow. If you’re going for a combination of sound, flexibility and performance, the GRP A4 is unsurpassed. 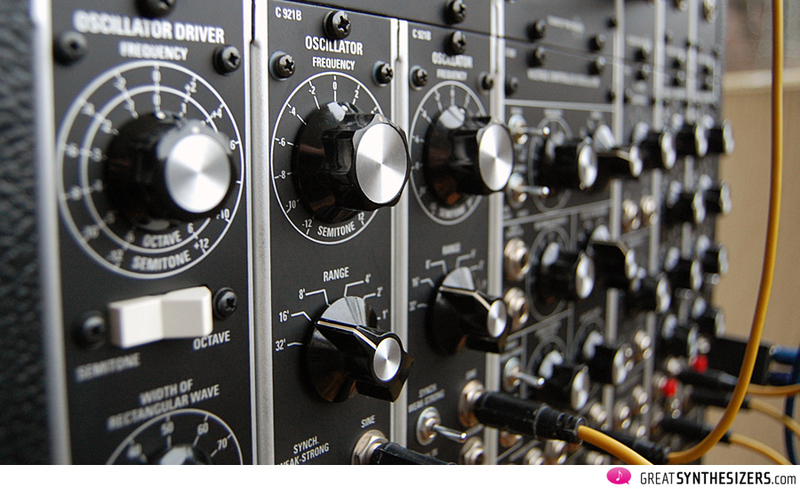 And naturally the Moog Voyager is one of the best analog synths of our days. 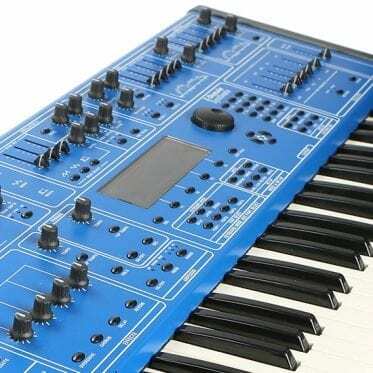 The new tomoberheim.com Two Voice Pro is going to be an eye- (and ear-) catcher, no question about it. 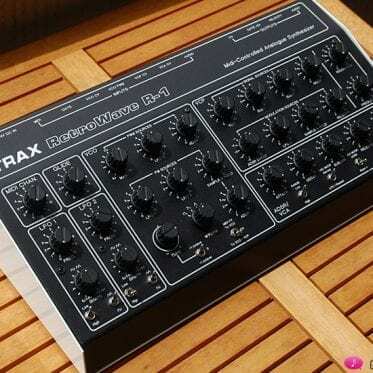 And even smaller synthesizers such as the Doepfer Dark Energy II, the MFB Dominion X or the Arturia MiniBrute can be very satisfying. But interestingly enough, two VCOs of the COTK Model 15 blow all those other candidates away. 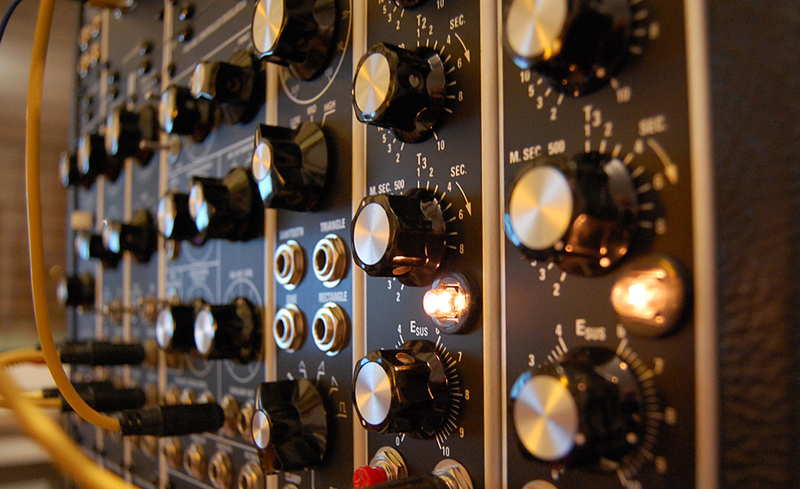 The potential and sound variability remind me of the original Moog modular. 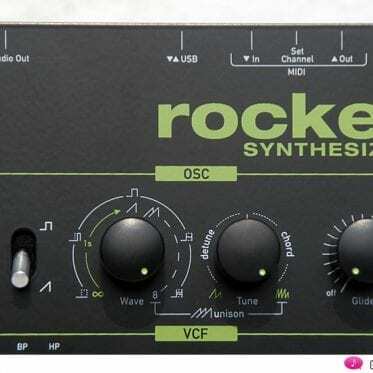 And it is this potential which has led many an owner of a Moog system to sell his old, rickety original in favour of a new COTK system (or, to be fair, a new Synthesizers.com system for US residents). On the other hand, this unusual potential may lead a prospective buyer of one of those rickety Moogs to the wise decision not to spend 60 000 USD on a Moog 55 or (see above) 3000 Euros on an almost empty Moog Model 15 cabinet. But rather to invest in a new COTK model. This is just a personal recommendation. Take it or leave it. 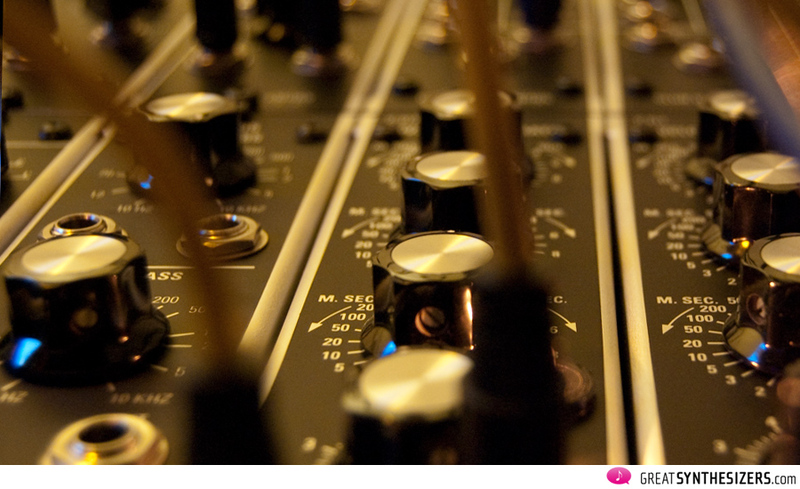 There is a direct relation between the „tool“ Model 15 and the quality of your music. Exact oscillator tuning is an easy job, for example, thanks to those BIG frequency knobs. Precise filter frequency settings and concisely envelope adjustments help you creating exactly the sound you’re looking for. Compared with standard 3 HE (Eurorack) modules I have to admit that size, quality and feeling of the Moog-style modules is in a class of its own. And it’s especially those chunky knobs that guarantee professional working processes. Tool and music: the basic connection is so simple and yet so important. Switched On Bach … something we’re all familiar with: the masterpiece of early electronic music with Wendy Carlos at the zenith of her success. Then again, there’s Tomita, who was primarily responsible for the success of electronic music in Japan in the early 70s. 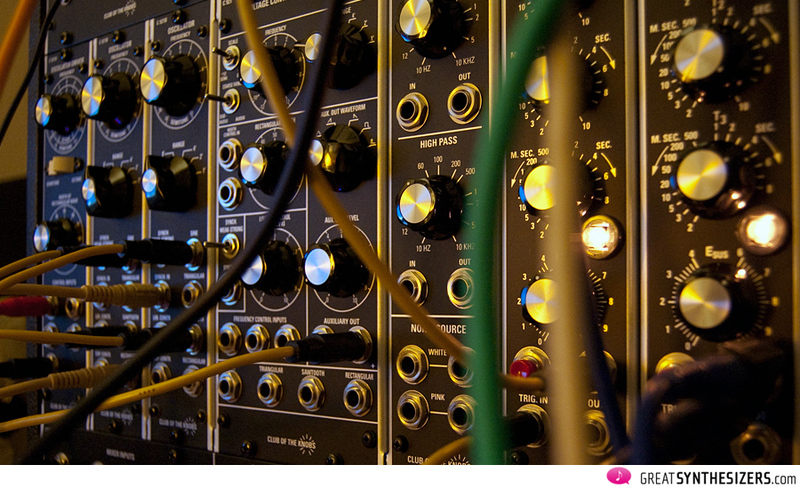 These and other artists used Moog modular systems to adapt new sounds to „classical“ music. Under pretty primitive working conditions, from today’s point of view. Just monophonic sounds, no MIDI clock, no memories, nothing. The whole score was recorded track for track, sequencing and synchronization were touchy and time-consuming processes. Poor musicians! 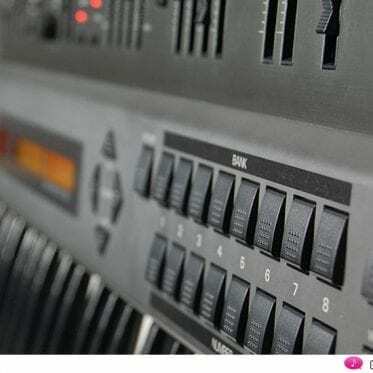 Each sound needed to be set up individually, no polyphony, no MIDI, no presets, no total recall … Today’s are blessed times by contrast, you could even say we are approaching the pinnacle of expressiveness in electronic music. False. The enormous increase in features and expressive potential has been paid for with a drastic loss in sound quality. Sound – the crux of the matter. The vibrant sound that makes a musical instrument a musical instrument. Such thoughts are afloat when you’re playing the COTK Model 15. It’s alive. 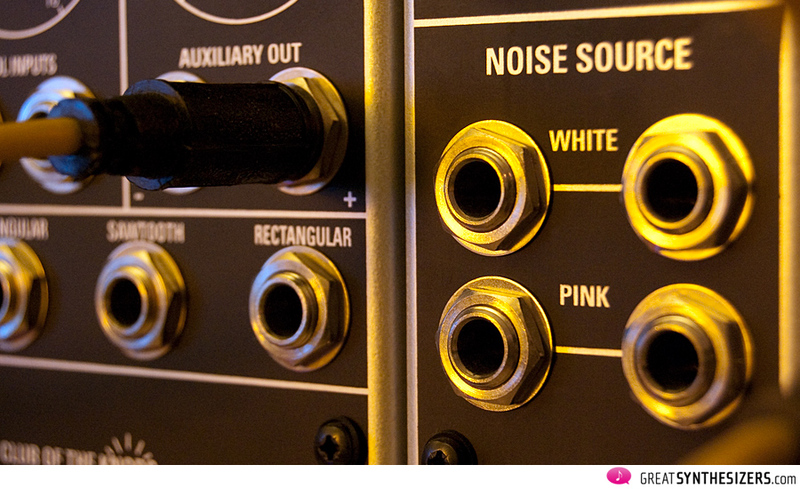 It doesn’t just sound good, it doesn’t just come out of some loudspeakers somewhere … no, it’s alive. It has depth and dynamic potential that we had almost forgotten about in our years of concentration on modern (digital and analog) synthesizers. Every now and then these pure sounds just shine through. As with the Vermona Perfourmer MKII, where the reduction to a minimum results in a definite sonic plus. Or with the Minimoog. Nothing, absolutely nothing can compete with the sound of the Model 15. Look at it another way: the great composers of old – Carlos, Tomita and others – had the best sounds at their disposal. Those musicians were far from „poor“, despite the primitive recording techniques they had to deal with. 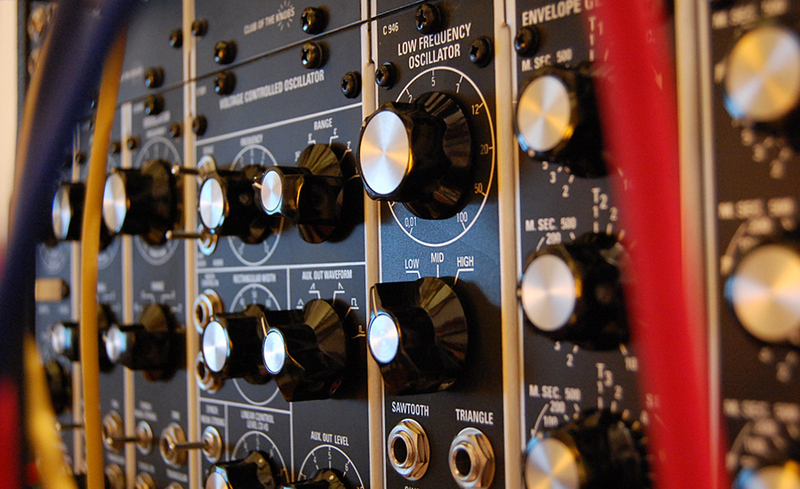 Model 15 – a Minimoog with patch options? The two C 921B VCOs are the instrument’s heart (apart from the VCF and the two VCAs). They stay in tune, sound brilliant and rich. I’d say they are the perfect analog oscillators with a beautiful mix of natural (very little) instability, great warmth and playability. There’s a simple 4-channel mixer sitting underneath the VCOs. 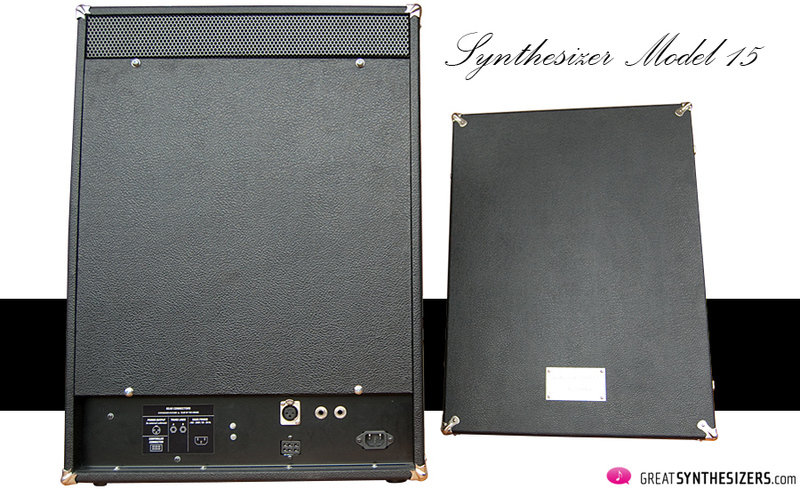 It has 4 inputs, independant volume control for each channel and a master output (volume) knob. Feed the mixer with any of the independantely available VCO waveforms and create your own, new waveform! It’s very simple, yet very effective and inspiring. Listen to the attached soundfiles (40 minutes of music) and make your own opinion of the oscillator’s quality. Aren’t those Model 15 VCOs rich? … wonderful subtle phasing and some slight detuning? The oscillators offer clear and warm sounds throughout the whole audio range, full of vividness and character. These 921B VCOs are a class of their own! The C 921A oscillator driver allows adjustment and modulation of pulse width for both C 921B VCOs. 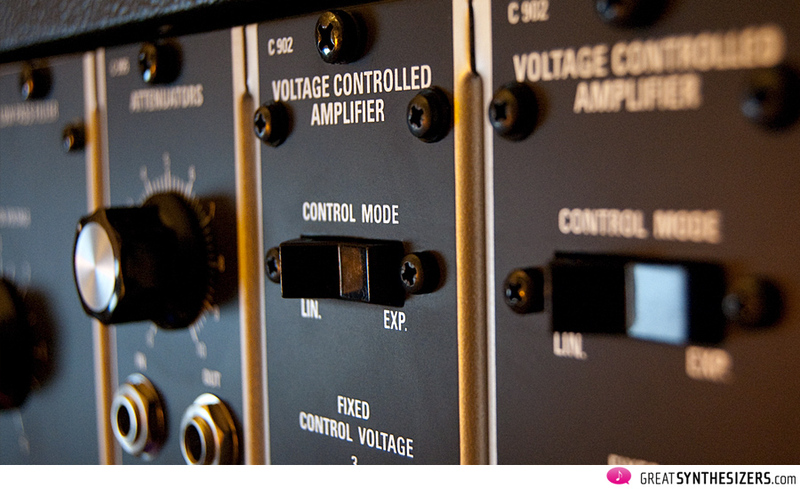 And oscillator synchronization is possible, too, of course, which is a significant difference to the Minimoog. The VCOs and the VCF make a perfect team! Coming back to the original Moog (now COTK) filter, I was amazed at how powerful the 904A VCF is. THIS is the famous 24 dB-per-octave filter. Its appearance is not very spectacular, admittedly: three knobs and five jacks, that’s all. But there is something about its sound which has never been equaled. Again, the chunky frequency knob allows you to create dramatic but also very subtle tone colors … with each fraction of a millimeter you get a new sound (ok, I’m exaggerating a bit, but you know what I mean). We added an extension case to our COTK Model 15. It houses a second VCF, enabling us to create brilliant stereo-filter effects. So, in quite a few of the attached sound samples you hear a stereo filter unit (2x C 904A). Not many people are aware of the importance of first-class VCAs. Anyway, the amplification is the decisive key to solidity and power in sound. The Model 15 contains two strong VCAs giving the overall sound lots of dynamics and let it appear “on the edge of the speaker”, just in front of you, dominating and powerful. 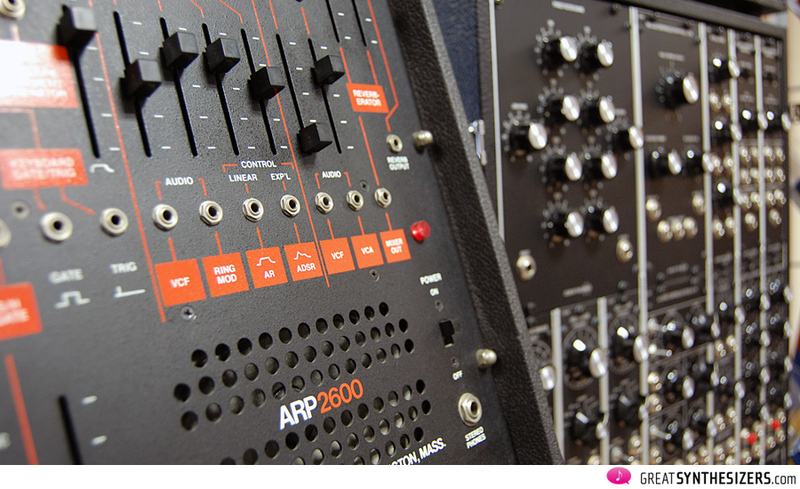 Two VCAs – another important difference to the Minimoog – allow real stereophonic images. That’s important for ping-pong modulation and other stereo effects. Add the huge 960 sequencer (another recommendation …) and control both VCAs with individual CV-tracks. Wonderful! The two envelopes are full ADSR envelopes. Strictly speaking, they should be called ADRS! ADR (all time-based) form the top knobs, while S(ustain) – the only level parameter – is at the bottom. This is a little unusual, but from a musical point of view it does make sense. Each envelope has its own trigger lamp, giving these modules a great vintage character. Thank God that original S-trigger system (Moog’s own, curious trigger system) has been replaced by regular 6,3mm input jacks. So, while maintaining the original high quality sound on the one hand, crucial weaknesses of the old system are eliminated on the other hand. A successful concept! If you’re looking for a summary with the title „sound“, with an evaluation something like „good – xy – bad – zx – we award 5 points …“, you’re going to be disappointed. The good – the fabulous – sound of the COTK Model 15 can’t be summarized in a few lines. Start here at the beginning. 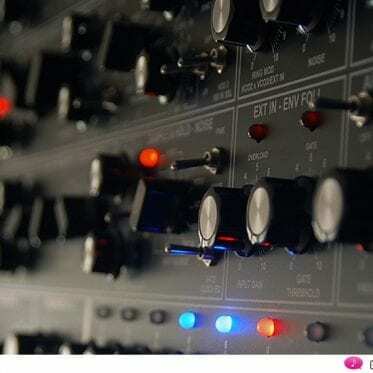 You will find a description, an attempt at historical context, a comparison with the Minimoog and a short explanation of the instrument’s modules, all in the above article. It must be said that the COTK Model 15 is an instrument for purists. For those who up to now have made do with a single VCO and a traditional 24dB VCF – in short, with a minimum of sound modules. But don’t fear. The quality of the modules in question is superb, even if I risk being redundant. Which is not to say there isn’t a potential problem involved. The fact is that the COTK Model 15 isn’t available for testing in your music store just around the corner. You really have to trust. To believe that after you have transferred your 3000 Euros (and some extra bucks for shipping) to Lisbon, you will receive an instrument that fulfils your wildest dreams. Which nobody knows until he’s tried it. You may find assurance in the feedback of those who already have a Model 15 safe at home. Insiders aren’t known to hold back on criticism. And no bad news about the quality of the COTK instrument has come to our ears. To be fair, one must take into account that the shipment of very large modular systems may bear its own risks (another argument for the Model 15, which is relatively small). Please be aware that Club Of The Knobs consists of two people – Kazike and his wife – whose products must be ordered directly in Lisbon. Delivery time should be generously calculated. Take the one or other verbal misunderstanding into account and have a little patience. 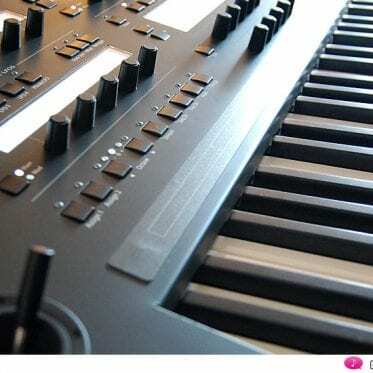 Don’t expect the perfect logistics of Roland, Yamaha or Korg. You’re in for a special (!) instrument. Do you want logistical precision and a mainstream (tried-and-true but eventually boring) product? Or have we been able to whet your appetite for a handmade, elegant and rare instrument with lots of character potential? Let’s be honest: it’s the smaller companies (Vermona, Synthesizers.com, GRP, Analogue Systems, Doepfer, MFB, Cwejman, MacBeth, Anyware Instruments, Waldorf, Access, Dave Smith Instruments, Arturia, Tom Oberheim.com, John Bowen, Livewire, Moog or COTK …) that produce the most interesting products. Products like the beautiful COTK Model 15. Excellent review and beautiful sounds! I was amazed to hear how close the System 15 sounds to Moog’s Taurus 3, esp. in the lower registers. If you haven’t reviewed the Taurus 3 already, you owe it to yourself to give it a whirl. 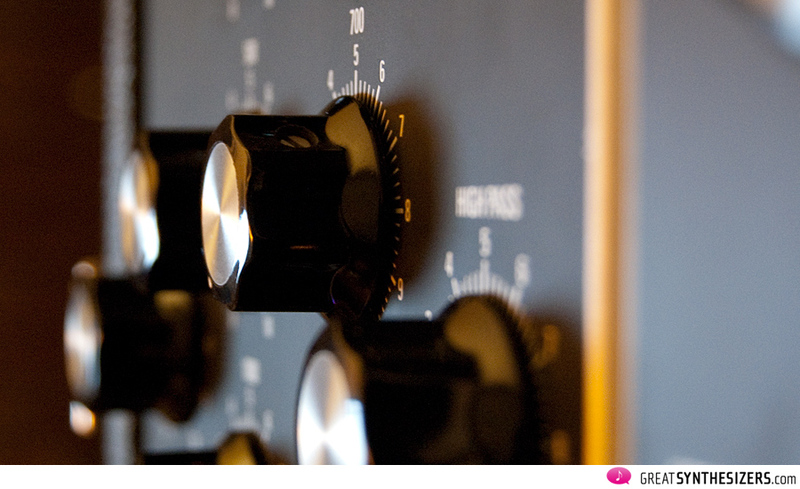 Hi Theo, great review and first class audio examples! I was thinking about get a moog modular style synth in the fashion of the System 15 or similar and this seems to be a very good contender. Outstanding review and audio. What effects and panning, etc. did you use if you don’t mind me asking? All DAW based, some hardware? You mentioned ‘extra’ modules, not sure if you had gate delays, CV controlled panning, etc? Very nice, and thank you. The only external effect I used was the Lexicon MPX-100 (stereo delay). All the panning comes from the Model 15 itself … with an extra VCF. I removed the fixed filter bank (which I don’t use very often) and added a 2nd VCF plus a simple COTK LFO. So, most audio files use 2 filters (which is not standard) and 2 VCAs (standard) … Controlling the VCFs and VCAs with individual LFOs and sequencer-voltages allows for such simple, but great sounding, stereo / panning effects. 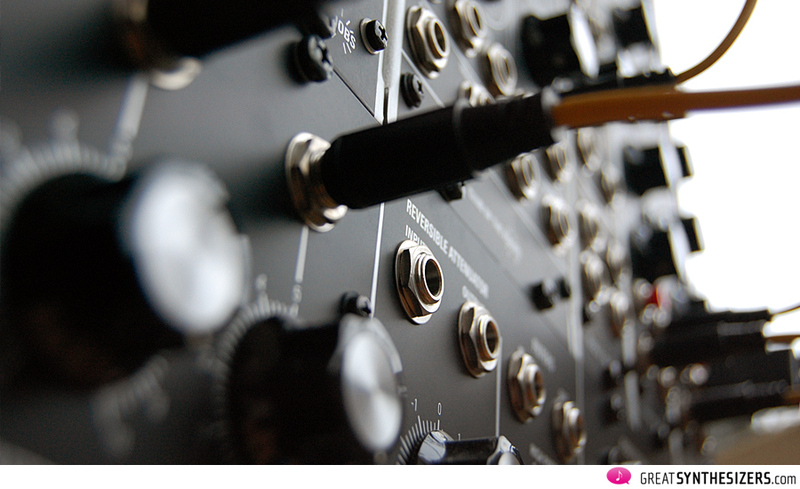 I am curious to see if you had the opportunity to compare the COTK Model 15 to the new Moog recreation? I have the chance to own one of those new recreations (Moog Model 15), and I”m thinking about adding some COTK modules to my Moog, I think the combinaison could be an impressive result! Hi Sam … Moog Model 15? Wonderful! Sorry, I had no chance to compare COTK and Moog. I owned quite a heavy original System 55/3C (no standard configuration) many years ago and I was completely frustrated with that vintage Moog beast, having problems (bad electronics, bad patching- and switching-contacts) all the time. 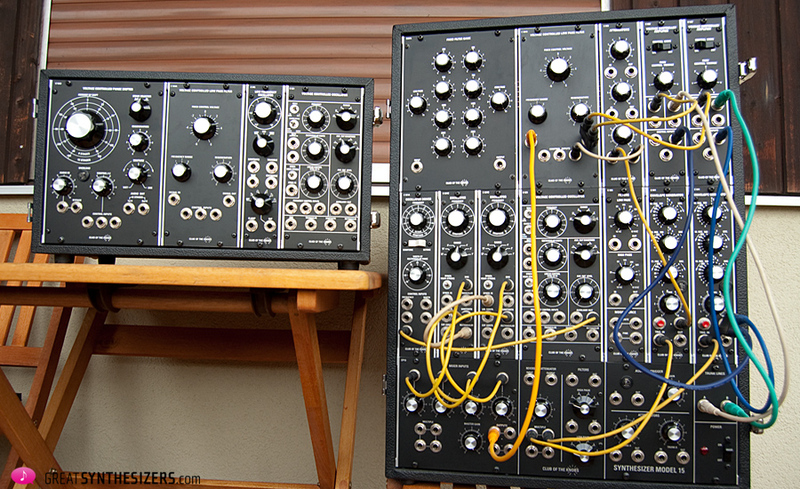 But yeah, the new Moog modulars are surely a delight! Way too expensive, though, in my opinion. The idea of combining a Moog 15 and some COTK modules (or cabinets?) is brilliant. 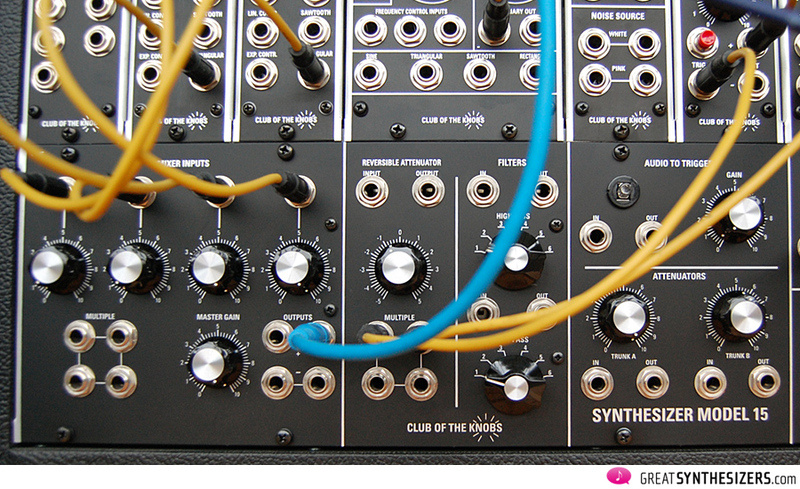 Especially since COTK offers so many interesting modules you won’t find in a Moog. Great article and sounds. I’m trying to decide between the COTK Model 15 and a GRP A4, and I’m curious as to your take on the sonic differences between the two. From what I gather, you liked the A4 enough to purchase one yourself, and even said in the comments section that it is “probably one of the finest (monophonic) analog synths of all time”. However, it appears that this was before you ever got your hands on the COTK. What is your take on the GRP A4 in light of the Model 15, and do you still own the A4? You did say the COTK blows everything else away (sonically), so I’m curious if the A4 still holds its own. – high-quality audio; certainly a step below the COTK in terms of HIFI sound, but more flexible thanks to the massive array of components: 3 VCOs, 2 LFOs, 2 (multimode!) VCFs, S/H, RingMod, etc. I still have (and frequently use) both instruments. Speaking of pure analog sound, I’d recommend the COTK Model 15, speaking of a combination of “very good analog sound + heaps of music performance options”, I’d say the GRP A4 is unique. So, it perhaps might be a question of what sort of sounds and music performance you’re looking for … defining your needs might be the guide to either the one or the other (or both?) synthesizers. Thank you for your response and comparison; it definitely gives me further insight. I have been traditionally a more “sound over features” kind of guy, where I would rather have a basic but “great” sounding synthesizer, over a feature-rich yet only “pretty good” sounding one. The A4 obviously has a wealth of more features, and, I would say, a great sound to boot. However — while the COTK Model 15 has basic features, after I listened to many high-quality sound bytes of it (such as the tracks that you’ve shared), it has a dimension of pure sound that is just out of this world and not something that you find in even the upper echelons of most mainstream synthesizers, to my ears and brain at least. However, I think the features of the A4 lend to it a wider palette of sounds that, most importantly, are also musically useful. The filter options, looping envelopes, extra VCO + sub oscs, the extra LFO, auto pan, etc seem to definitely contribute to it being more sonically versatile, and in a meaningful way. One more thing about the COTK — I have encountered a couple reports of it being so “clean” to the point that it doesn’t saturate or perhaps distort the way other high-end modulars do. I don’t necessarily think this is a negative though. Wouldn’t this allow for more headroom? This seems to be exactly what Moog did for their new Subsequent 37 over the Sub 37; they increased the headroom in the oscillator mixer section by reducing the amount of distortion that can occur at the high oscillator level settings, which in turn allows for more clean tones to be produced from the instrument. I have perhaps not explained this 100% accurately, but do you think this same kind of concept applies to the COTK Model 15? Do you know if this contributes to the overall COTK sound to a significant degree? 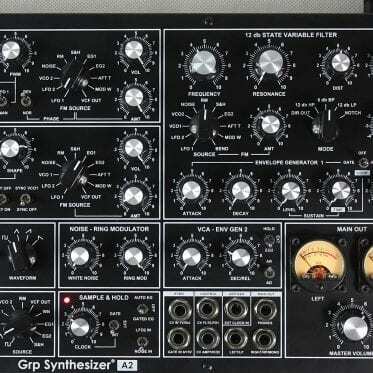 Does it have the ability to distort much at higher oscillator mixer levels? I would love to compare the headroom of this to the Mos-Lab and Moog Reissue equivalents, for sure. Again, this could be a positive thing, depending on what kind of sound one is going for. Thanks Theo! To any who have wondered why the COTK Model 15 is so “clean” compared to the original Moog Model 15 (and since my questions were so blatantly ignored). I have since discovered that it’s all in the mixer. Namely, Moog uses a classic CP3 mixer which clips the signal at higher settings, whereas the COTK version uses an entirely different mixer that apparently doesn’t clip the signal at any setting. … thanks for the note, Jeff! 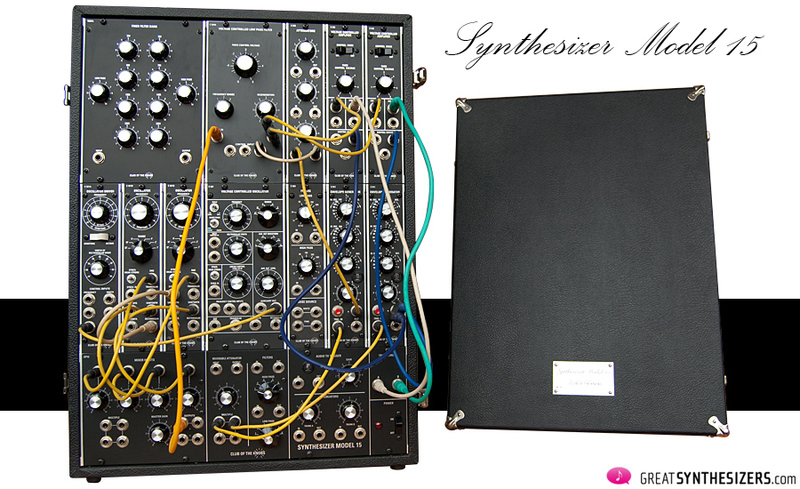 Previous PostEMS Synthi 100 – biggest synthesizer ever?